Our region is known for its strong philanthropic spirit. Join us this May in recognizing and sharing your organization’s mission and your wish list with those who want to support you. Contact us today reserve your space! 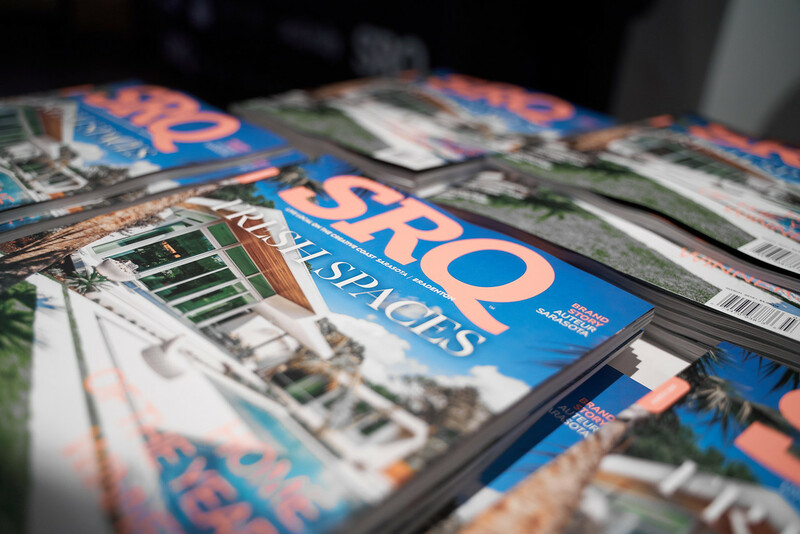 SRQ MEDIA was delighted to host the 15th Annual SRQ Magazine Home of the Year Awards. 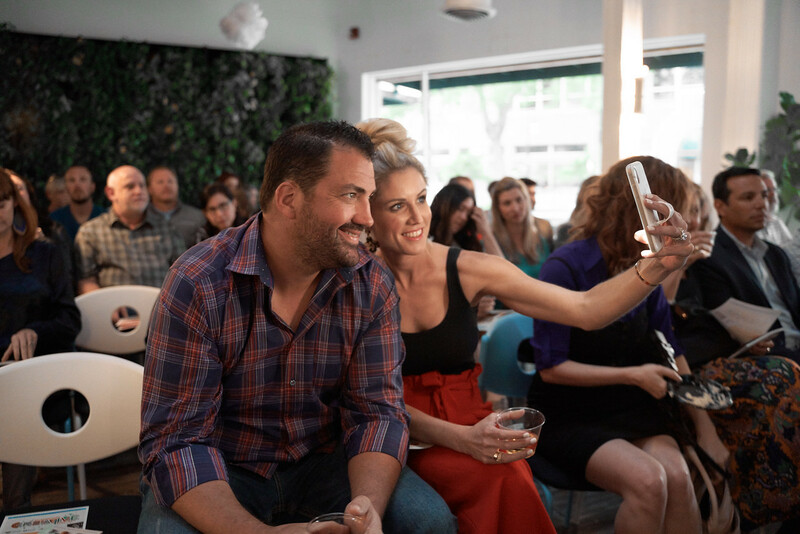 The ceremony took place at SRQ Studios in Downtown Sarasota during the evening of Wednesday, February 27 and was attended by over seventy local architects, interior designers, contractors, vendors, and guests. 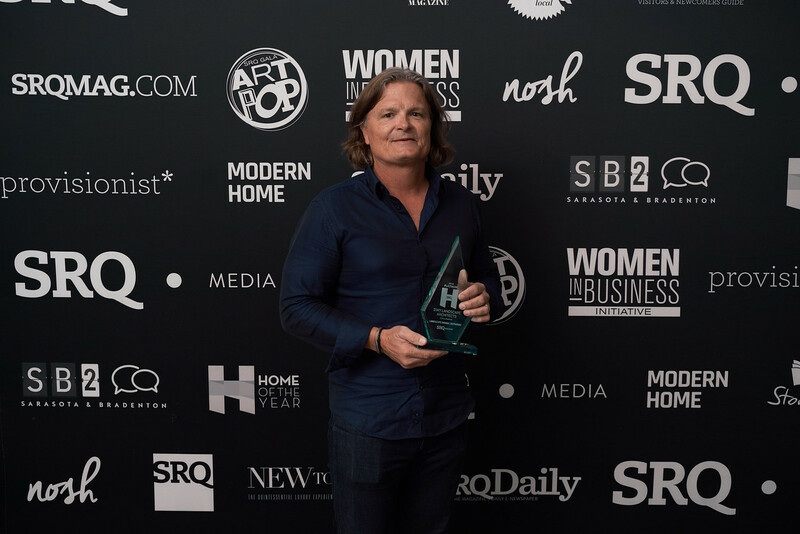 In addition to nine award categories ranging from Best Overall Home Over $2 Million to Best Remodel/Renovation, SRQ introduced a new award to the competition in 2019: Best Overall Home- Interior Design. SRQ received an impressive 34 entries in this year’s competition and the Silver, Gold, and Platinum awards were determined by the 2019 Home of the Year Competition judges: Stephanie Gaines of Curts Gaines Hall Jones, Tampa; David Poorman of David Poorman Architect, Naples; and Hugo Mijares of OneDBMiami, Miami. The awards ceremony kicked off by celebrating the Platinum winner of Best Sustainable/Green Home, DSDG Architects for Osprey Landing. Described as “A good use of passive and active sustainable design” by the judges, the home incorporates locally sourced materials with high recycled material content, energy saving appliances, tank-less gas water heaters, LED lighting and a lighting control system to help ensure that no power is wasted. One Platinum winner was awarded for Best Bathroom: Sweet Sparkman Architects for their SeaThru House. Designed with uninterrupted glass from bedroom to bathroom with no wall or door to break the space, the Platinum winning bathroom was praised by the judges who noted, “The material palette is superb as well as the execution” The SeaThru House by Sweet Sparkman Architects was also named as the Platinum winner for Best Great Room. The SRQ Home of the Year Platinum award-winning kitchen is a minimalist’s dream. Awarding Principal Architect Mark Sultana his second Platinum Home of the Year for the evening, the Best Kitchen award was given to DSDG Architects for Betonhaus. This home features floor-to-ceiling sliding glass walls that open to the south facing breakfast deck, allowing light to flow into the kitchen to highlight the room’s centerpiece – a fifteen and a half foot island with a polished concrete waterfall countertop. 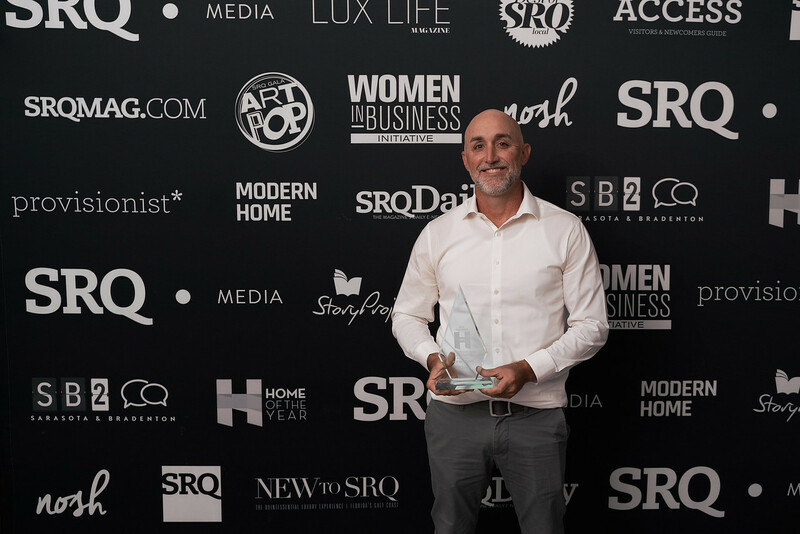 SRQ MEDIA’s new-to-2019 award category Best Overall Interior Design was presented next for a Silver, Gold, and Platinum level winner. The Silver award was granted to Barbara Gardner of Collins Interiors for the California Contemporary on the Gulf Coast of Florida and the Gold award for Best Overall Interior Design was given to Riley Interior Design for The Abaco residence. The Platinum Home of the Year winner for Best Overall Interior Design was given to Trade Mark Interiors for the Hawthorne Residence. Designed in a French West Indies style, Trade Mark Interior’s design for the Hawthorn Residence is rich with organic and textural elements that embrace an open, outdoor lifestyle. Throughout the home, one will find a fluid sophistication through the cohesive and subtle color palette along with a wide array of textures. SRQ MEDIA’s Best Remodel/Renovation award was announced next. Situated in the Historic Eagle Point Club on Robert’s Bay, the Platinum winning home renovation was designed in a Coastal Contemporary style yet it maintains the neighborhood’s Old Florida charm. 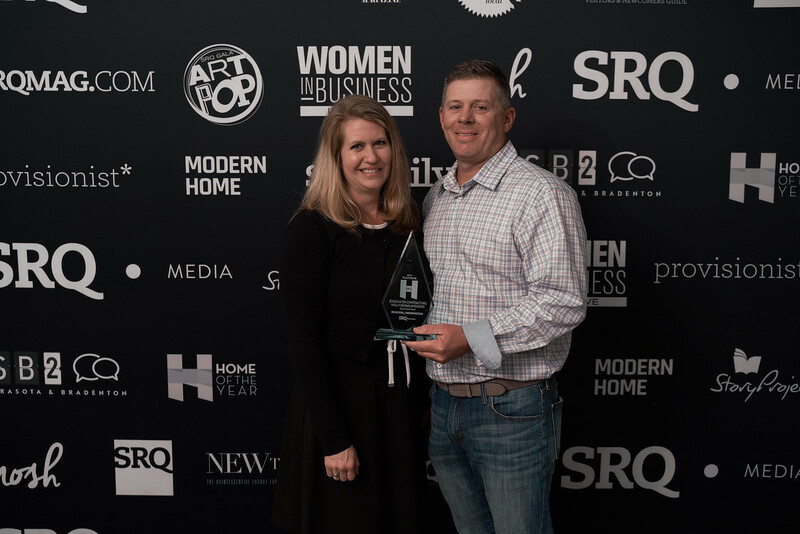 The Best Remodel/Renovation Home of the Year Platinum award was given to Edgewater Contractors/Holly Dennis Interiors for Eagle Point Drive. The next award category was Best Overall Home Under $1 Million. 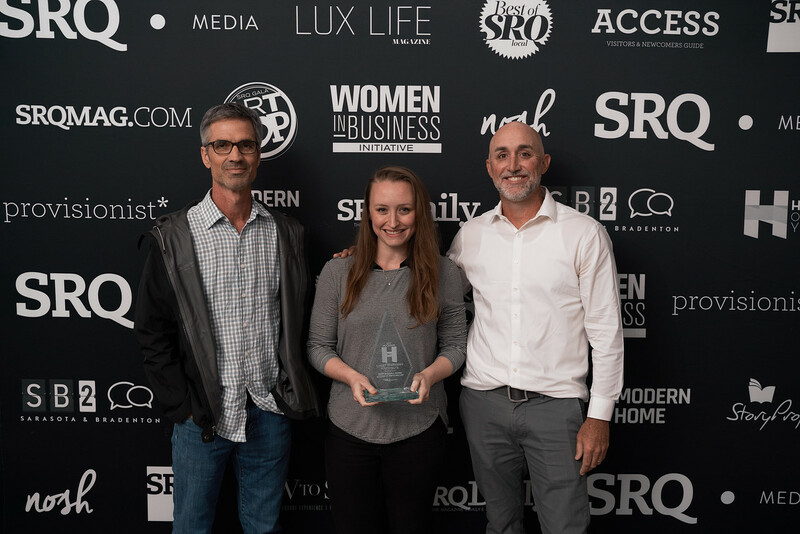 SRQ was pleased to recognize Solstice Architects as winner of the Gold Home of the Year for WhiteHaus and DSDG Architects as the Platinum winner of the Best Overall Home Under $1 Million for the Rivetta Retreat residence. The Rivetta Retreat was described as an “Elegant marriage of function and beauty” by judges. The Best Overall Home Between $1-2 Million was awarded to a Gold and Platinum winner. The Gold award winning house was Osprey Landing by DSDG Architects and the Platinum winning home was the SeaThru House by Sweet Sparkman Architects. The SeaThru home was designed as an homage to the local mid-century vernacular of Sarasota and was described as “Simply spectacular” by the judges. The evening concluded with the final category of the night, the Best Overall Home Over $2 Million. This award was given to a Gold and Platinum level winner. Murray Homes took home the Gold Home of the Year Award for Best Overall Home Over $2 Million for their Modern on Mourning Dove project. The Platinum Award winner of the the best Overall Home Over $2 Million was DSDG Architects for Betonhaus. 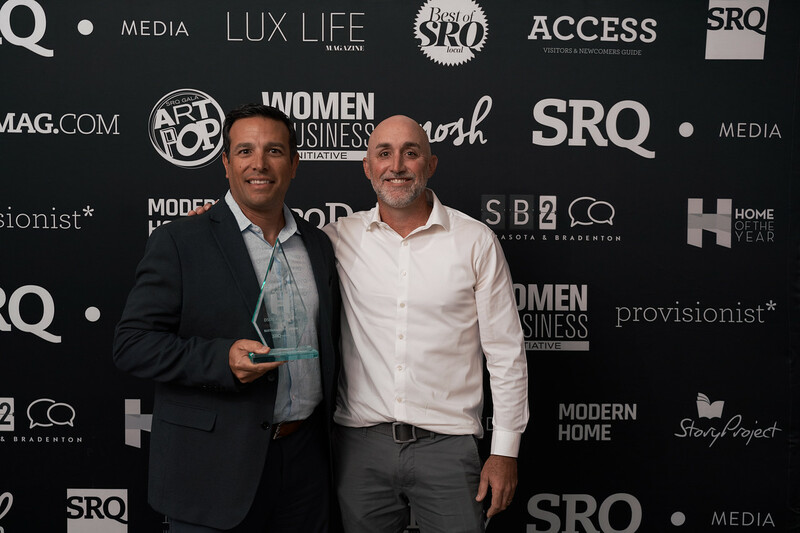 The award was accepted by Principal Architect Mark Sultana and was the firm’s fifth 2019 Home of the Year award. Betonhaus uses raw concrete, wood accents and subtle color to warm the overall aesthetic and add additional layers of detail to the design. Drawing inspiration from mid-century design, current modern features and philosophies are evident in this home through floor to ceiling glass walls, patterns of three, opacity of walls to allow passive ventilation, and a connection to the outdoors. 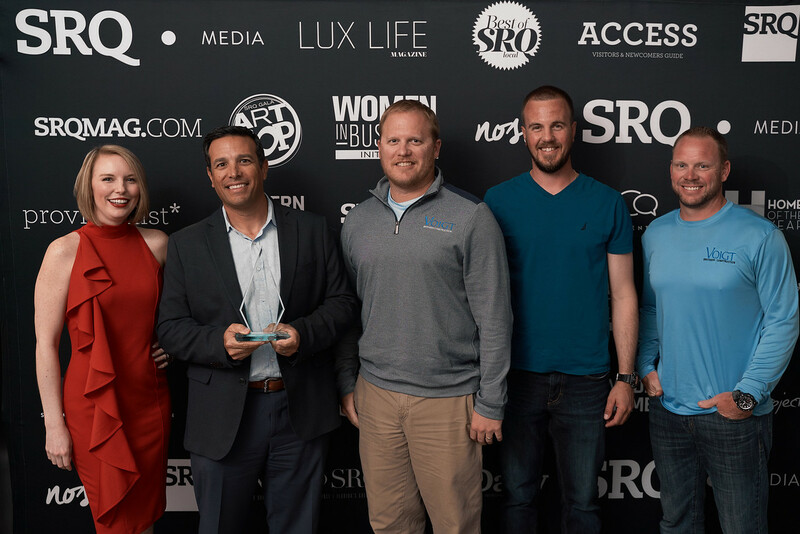 Congratulations to our 2019 SRQ Home of the Year Award winners. 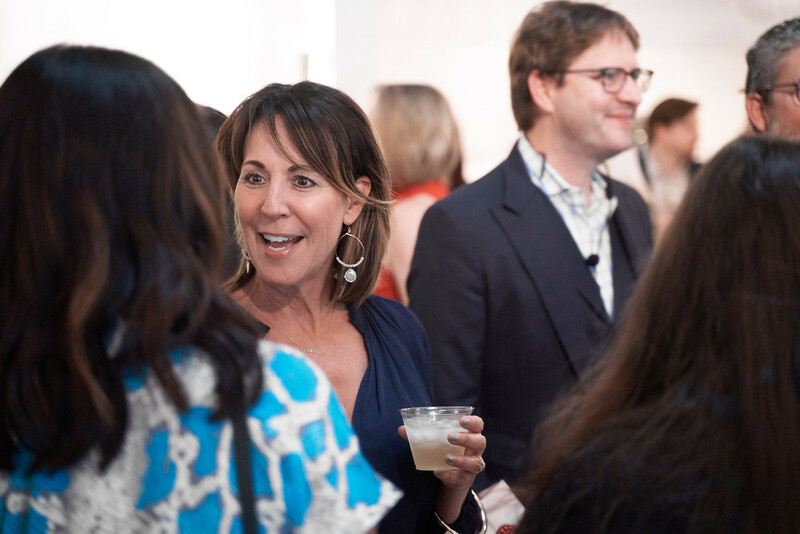 We could not have had such a successful evening without the support of the design community. Thank you for submitting your projects to us. Congratulations to the Home of the Year award nominees, winners, and contributors for enriching our community through great design! Special thanks to our 2019 Home of the Year judges, Sarasota Trophy, and Gecko’s Pub and Grill. We had a wonderful evening. We’re also inviting local architects and builders to participate in this year’s July Modern Home Magazine. 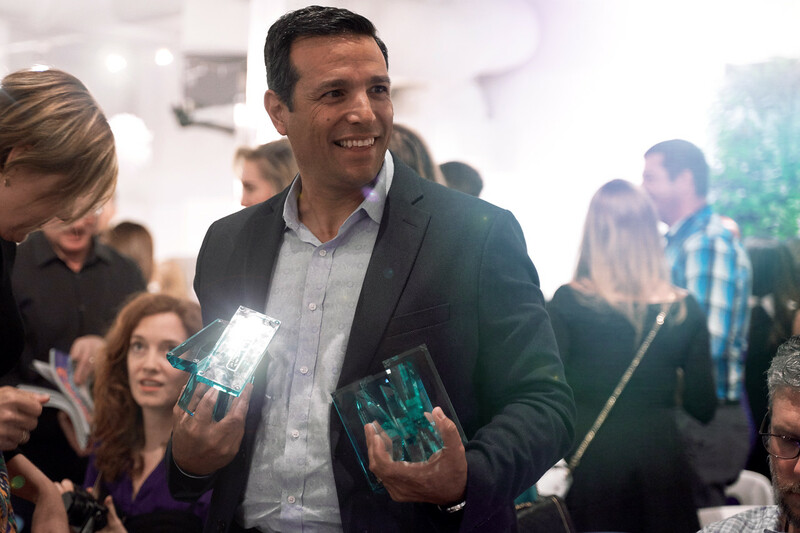 SRQ will be bringing back the Building of the Year Awards this summer to recognize commercial, multi-unit residential and mixed use buildings, public parks, and regional buildings. The Call for Entries opens on April 1st and closes June 1st. 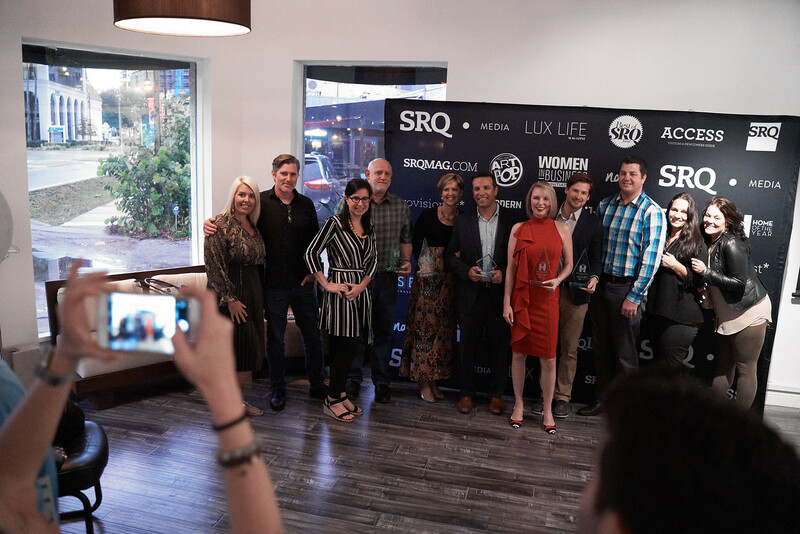 The full list of award winners and images can be viewed online and in print in the March 2019 edition of SRQ Magazine. 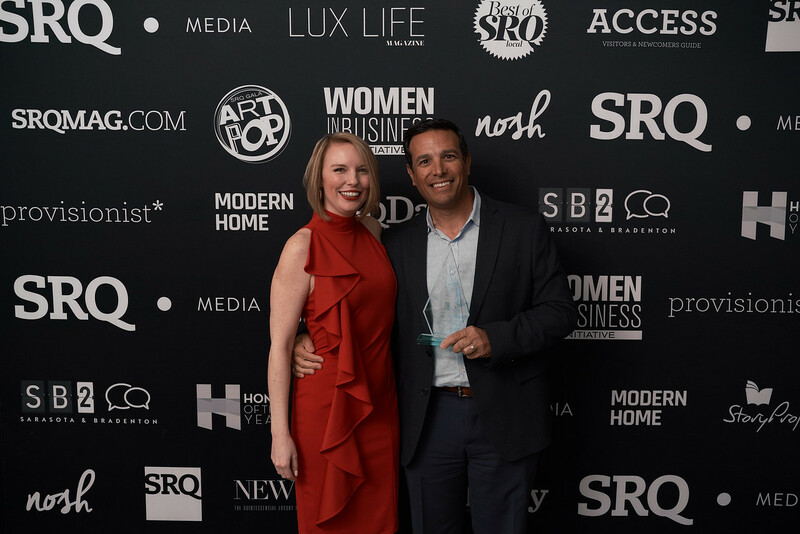 Click here to read the article about the 2019 Home of the Year awards in SRQ DAILY. A gallery of images from the Home of the Year Award Ceremony is available online here. Let your story guide our readers into our area’s Colleges and Careers coming this April 2019! Why is Higher Education important? What are the top benefits of Higher Education? Why is Higher Education crucial for the next generation? Share your career guidance to our readers. The application period to join SRQ MEDIA for April’s SkillSHARE Program is now open! This special event takes place three times a year as part of SRQ’s Women In Business Initiative. 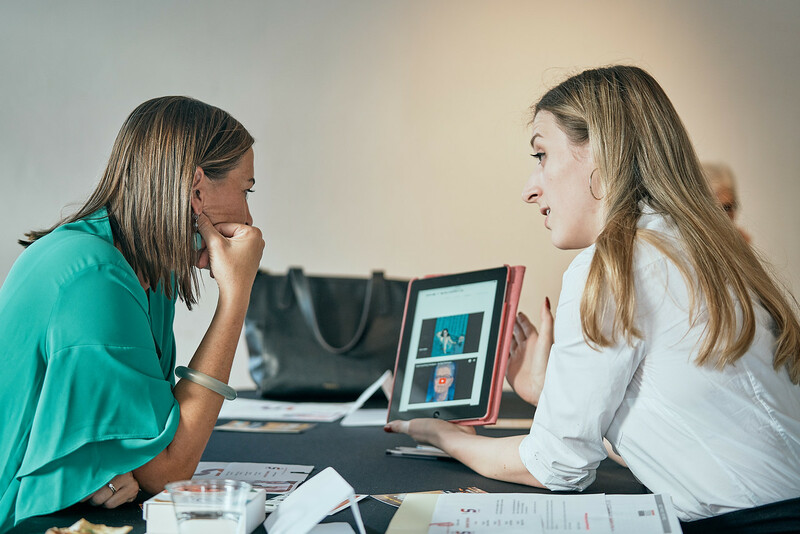 SkillSHARE is a networking-focused program that encourages insightful, honest interactions between local women professionals about their career and community engagement through the art and science of mentorship. Hosted at SRQ Studios at 331 S. Pineapple Avenue, Sarasota on Thursday, April 11, 2019 from 5-7:30pm, participants will connect with our stellar line up of SkillSHARE mentors including Liz Brookins, Sandra Stone, Kathryn Shea, Gabriele Harris, Laurie Pike, Kameron Hodgens, and Jeannie Perales. 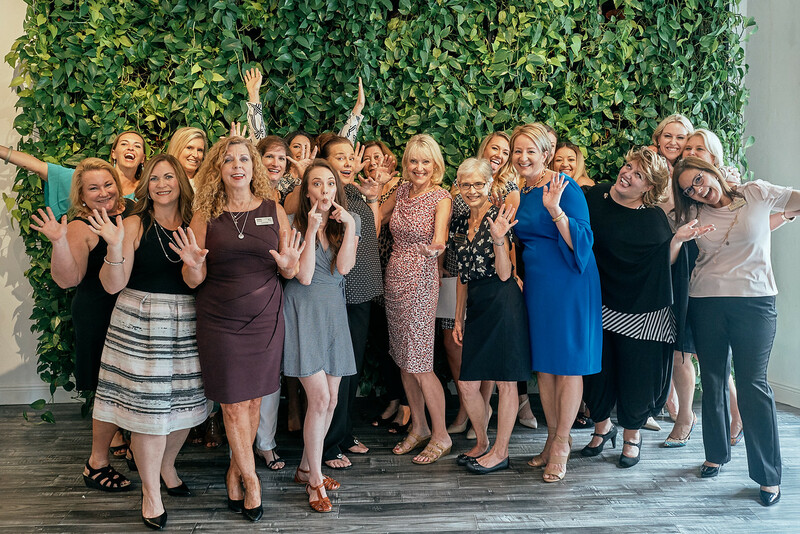 SRQ MEDIA’s Power Up event, fueled by the SRQ Women In Business Initiative provided Leadership Circle members and special guests with an opportunity to mix, mingle, brainstorm and develop new connections at Sophie’s at Saks Fifth Avenue. 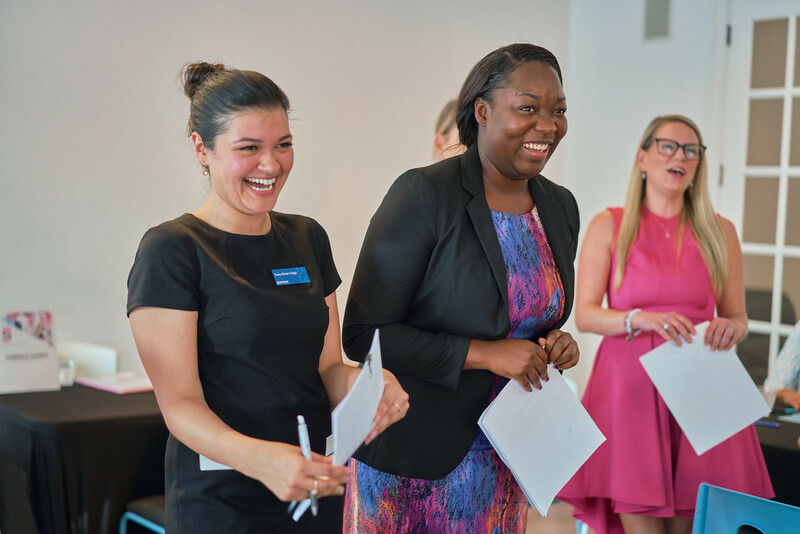 The program fosters a supportive environment where professionals can get to know one another in a fun, chic setting. We had such a great time at this week’s Power Up Mixer on February 6, 2019 and thank our attendees for spending their evening with us! 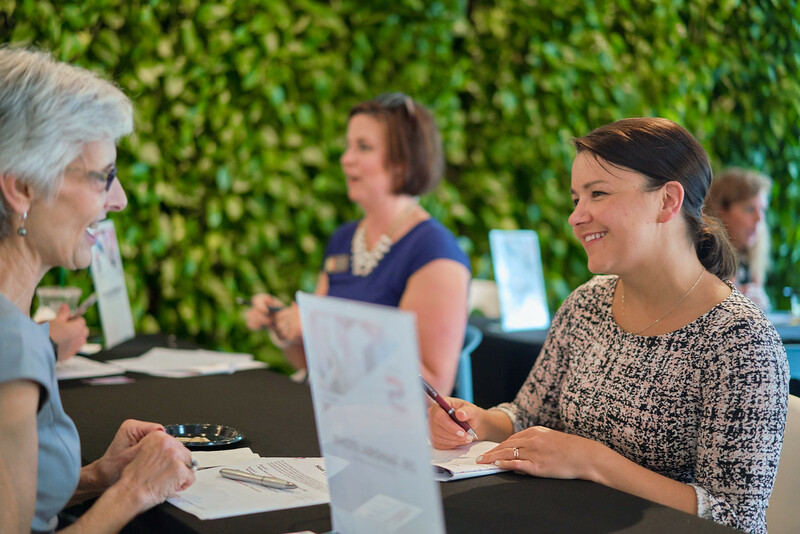 Paired with delicious bites from Sophie’s at Saks Fifth Avenue Power Up is a platform for networking and cultivating relationships for the SRQ WIB Leadership Circle and invited special guests. “Power Up is a great opportunity to get to know other women who are doing amazing things in our community. 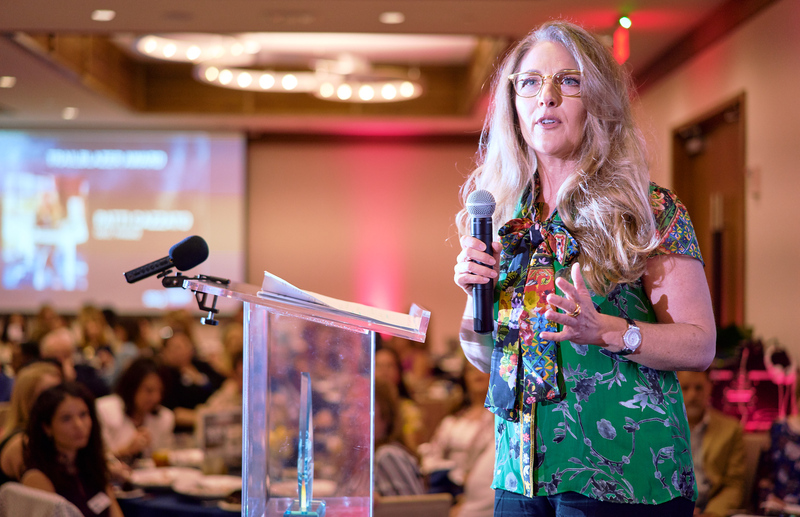 I’m always awestruck by the work these women are doing in the community,” said attendee Dr. Sandra Stone of University of South Florida, Sarasota-Manatee. 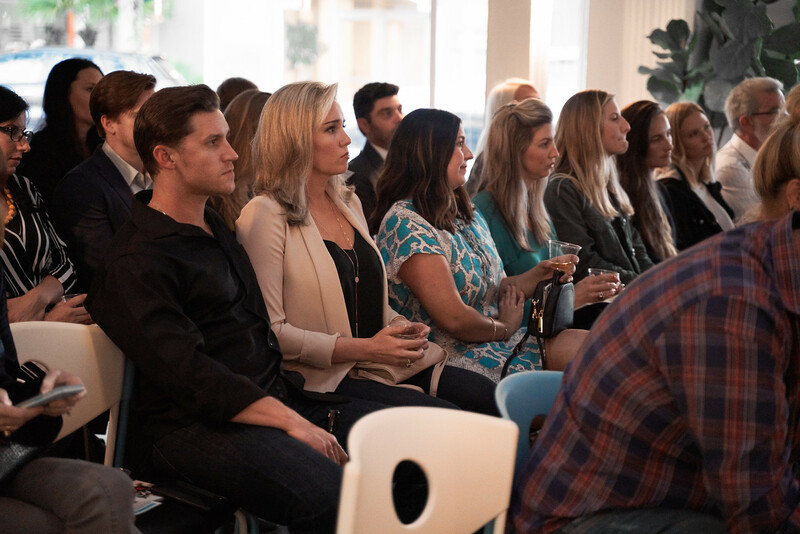 “I’ve been impressed by SRQ’s commitment to foster these types of networking programs,” remarked Maryalice Keller, owner of Scout & Molly’s, a boutique in downtown Sarasota. A big thank you to Mark Resnick, General Manager at our fabulous host sponsor Sophie’s at Saks Fifth Avenue! 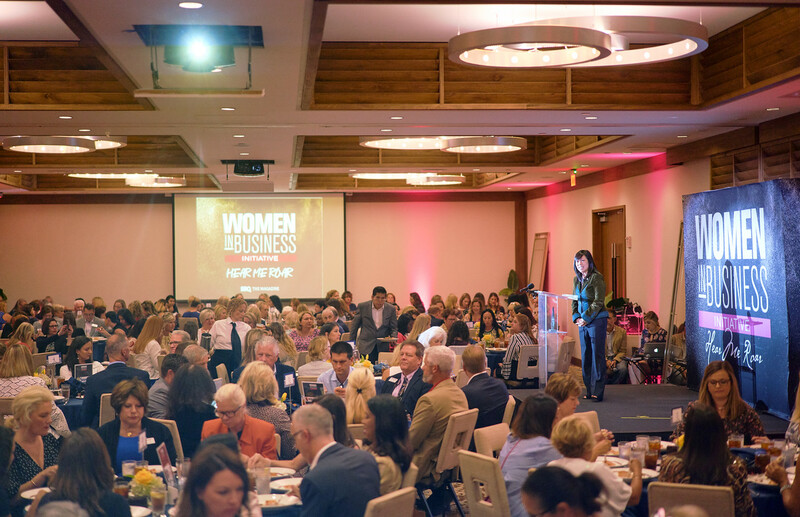 SRQ MEDIA will host the fifth annual Women in Business Hear Me Roar Leadership and Awards Luncheon on Thursday, May 2, 2019 from 10:30am-3pm at the Hyatt Regency Sarasota featuring nationally-recognized keynote speaker, a noted luminary who has made a significant impact in their field and the announcement of the winners from this year’s 2019 Women in Business Competition. The awards luncheon begins with an engaging Keynote Speaker who will share their story of success. SRQ MEDIA will also honor this year’s recipient of the prestigious Trailblazer Award to recognize a luminary who has made a significant impact in their field. SRQ MEDIA is pleased to announce Geralyn Lucas as this year’s Hear Me Roar Keynote Speaker. Lucas is the best-selling author of Why I Wore Lipstick: To My Mastectomy and accomplished producer whose book was made into an Emmy nominated movie and inspired collaborations with Betsey Johnson and Stila cosmetics. Legendary civil rights journalist and the first black reporter for the Washington Post Dorothy Butler Gillam will be honored with the Women in Business Trailblazer Award. Keynote Speaker Geralyn Lucas. Photo Courtesy of the speaker. Hear Me Roar Keynote Speaker, Geralyn Lucas was only 27 when she was diagnosed with breast cancer. Shaking the foundations of her world, she was faced with the harrowing decision of whether or not to undergo a mastectomy. She shared her incredible journey in her memoir, Why I Wore Lipstick: To My Mastectomy. Filled with courage, humor, and inspirational candor, Lucas’ book and message is not just for women who have experienced the effects of cancer. “This is a universal story for women,” she says, “A lot of people say going through a serious illness makes you look deeply at who you are, and that can be true. But you don’t have to have breast cancer to do that.” Why I Wore Lipstick: To My Mastectomy was made into an Emmy nominated movie that premiered on Lifetime television starring Sarah Chalke and Patti LaBelle in October, 2006. The theme song “I am not my hair” for the movie was written by Pink and India Arie. Inspired by Lucas’ book, dress designer and breast cancer survivor Betsey Johnson designed a T-shirt to promote Why I Wore Lipstick: To My Mastectomy; cosmetic company Stila created a lipstick called Geralyn; and The Young Breast Cancer Survivor Foundation and Zeta Tau Alpha Foundation both endorsed the book. Lucas has become an activist, informing women about breast cancer, and early detection. She recently created a Webby honored YouTube Short. Prior to her writing career, Geralyn was a network television executive and producer at the ABC News Show 20/20 and Lifetime Television. Her work received high ratings and many awards including an Emmy® and a GLAAD Media Award. She lives in New York City with her husband, Tyler, and their two children. SRQ MEDIA is honored to announce Dorothy Butler Gilliam as recipient of the 2019 Trailblazer Award. Dorothy Butler Gilliam has been a journalist for more than six decades. In 1961, she became the first black woman reporter for the Washington Post. She would later become an editor and a columnist for the paper before retiring in 2003. Throughout her career, she has worked tirelessly to nurture other journalists of color and to diversify newsrooms across the United States. Her work as a civil rights journalist has been featured in three documentaries: “Freedom’s Call,” “Southern Journalists Who Covered the Civil Rights Movement,” and “Hope & Fury: MLK, The Movement and The Media.” During her career, Ms. Gilliam appeared regularly on television, including PBS, and hosted her own show on BET. She formerly served as president of the National Association of Black Journalists and of the Unity Journalists of Color. 2018 Trailblazer Honoree Patti Cazzato. Photo by Wyatt Kostygan. Past Trailblazer Award recipients include Adrienne Vittadini (2015), Pamela Fiori (2016), Nancy Bernardini (2017) and Patti Cazzato (2018). 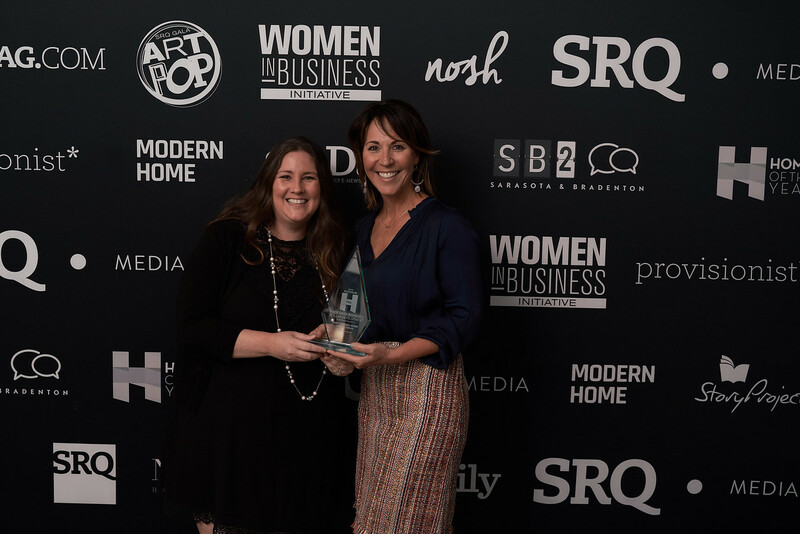 The Women In Business Competition Winners of 2018. Photo by Wyatt Kostygan. Powered by SRQ’s Women In Business Initiative, the Women In Business Competition Awards Program will announce this year’s distinguished award winners who have made meaningful and significant contributions to our region in business, education, philanthropy, arts and culture and healthcare and induct them into the Class of 2019 Leadership Circle. 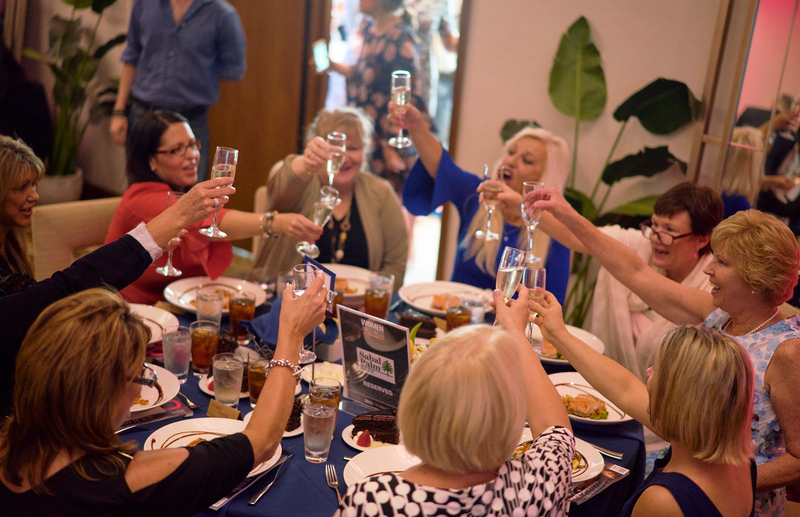 SRQ MEDIA would like to thank the 2019 Hear Me Roar Leadership and Awards Luncheon event sponsors for their support of this community platform: Champion Sponsor Seaside Bank, Innovator Sponsor, Community Foundation of Sarasota County, Host Sponsor The Hyatt Regency Sarasota and Champion Sponsors New Balance Sarasota and Waterworks Members Club. 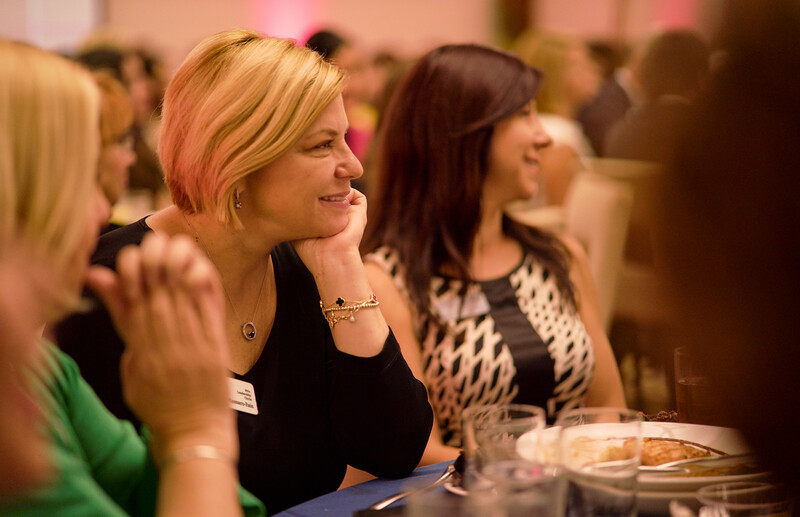 To purchase tickets to the SRQ Women in Business Hear Me Roar Leadership and Awards Luncheon click HERE. Table Sponsorship (10 seats), $850. Half Table Sponsorship (5 seats), $425. Individual Ticket, $65. For other sponsorship opportunities, contact SVP of Strategic Partnerships and Engagement Ashley Grant at 941-365-7702 x204 or via email at ashley.grant@srqme.com. We look forward to celebrating our fabulous presenters and award recipients at this year’s Hear Me Roar Program with you!